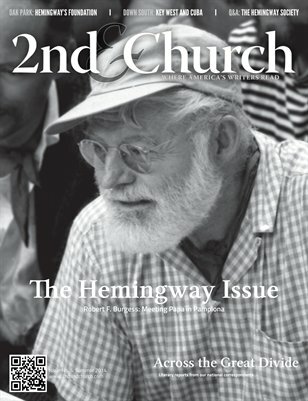 We're happy to share with you that Issue 4 of 2nd & Church is complete and ready for viewing and/or ordering. Subscriber and contributor copies will ship from the publisher within the next week or so. 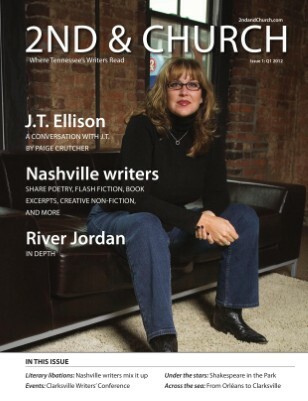 Issue 4 will launch at this month’s installment of Literary Libations in Nashville on January 23, 2014. Literary Libations meets the 4th Thursday of each month from 5:30-7:30 p.m. at the Union Station Hotel’s Prime 108 bar, under the portrait of Jack Nicholson. No invitation needed. Please feel free to join this gathering of writers, journalists, poets, agents, publicists, book sellers, publishers, creatives, librarians, book readers, and lovers of the written word! If you use an iPad, you may now download a free version of the issue using the free Magcloud app. Enjoy! If you do not have an iPad, that's okay, too. You may order an individual copy using the Magcloud link to the right of the screen. 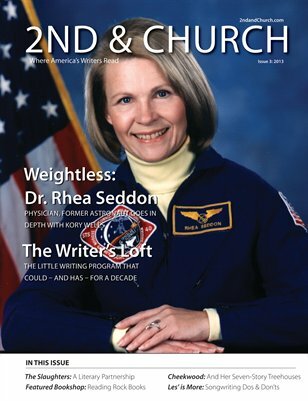 Simply click on the cover of the issue you'd like to order. 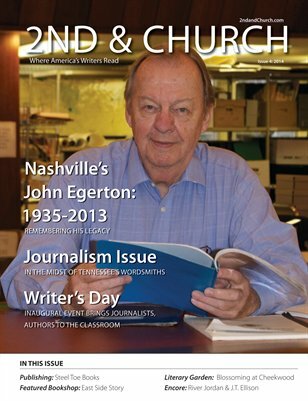 The issue features our friend, the late John Egerton. Click here to read an excerpt of our interview with this acclaimed American journalist and author who wrote or edited nearly two dozen non-fiction books and one contemporary fable, as well as contributed scores of articles to newspapers and magazines. Last summer, he participated in Future Break 2012, speaking on the future of the book and the late Ray Bradbury. Click here to watch his presentation at that event. 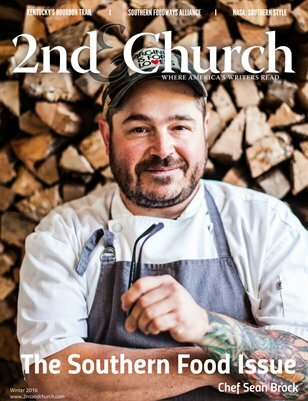 Earlier this year, Mr. Egerton met with Nashville writer and photographer Terry Price to take a photo for the front cover of John's issue of 2nd & Church. Terry has offered his pictures from his photo shoot with Mr. Egerton to make this photo gallery. It's with our thanks to Terry and our respect to John that we share these photographs. Click here to access the gallery. As part of our coverage, Candace White reviews Home to Us: Six Stories of Saving the Land, by Varina Willse. Mr. Egerton edited the project. 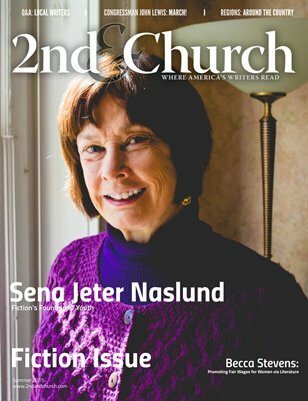 Feature story on The Contributor, a member of the North American Street Newspaper Association (NASNA). A new essay from novelist J.T. 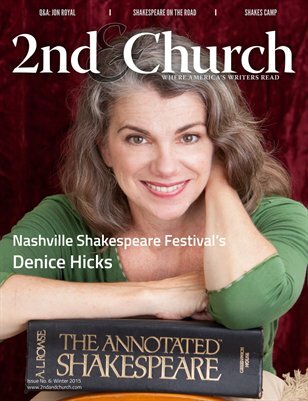 Ellison: "My Affaire de Coeur with Nashville"
A new essay from novelist River Jordan: "Making Music with the Muse"
Columns by Charlotte Rains Dixon (Outside In), Gayle Edlin (Technical Writing), Les Kerr (Song Writing), Renaud de Saint Ceran (Translation), Chuck Beard (East Side Story Books), from the Poetry Editor, and From the Editor. Les Kerr reviews Songwriter Jeff Jacob new CD, 7 Days. 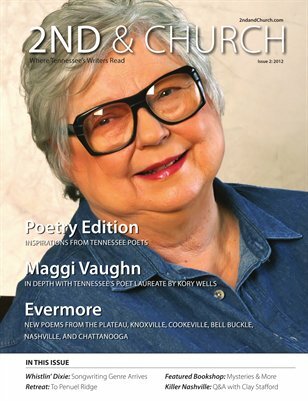 Earlier this year, nearly a dozen writers (spanning several writing genres), poets, educators, and publishing professionals came together for a day of public service at John Early Museum Magnet Middle School in Nashville, Tennessee, where they engaged eighth graders on their interests in writing. Pictured here is 2nd & Church Editor Roy Burkhead at the event. Click here for a complete list of all those in attendance and to view a slideshow of the writers and students—presented by Children First, A Metro Schools blog. East Side Story bookshop owner (and 2nd & Church columnist!) Chuck Beard writes about that day in his latest column, appearing in our fourth issue.